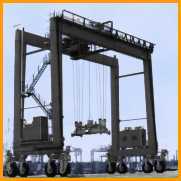 RTG 450 & 700 I-Beam Festoon System for rubber tired and rail mounted gantry cranes. 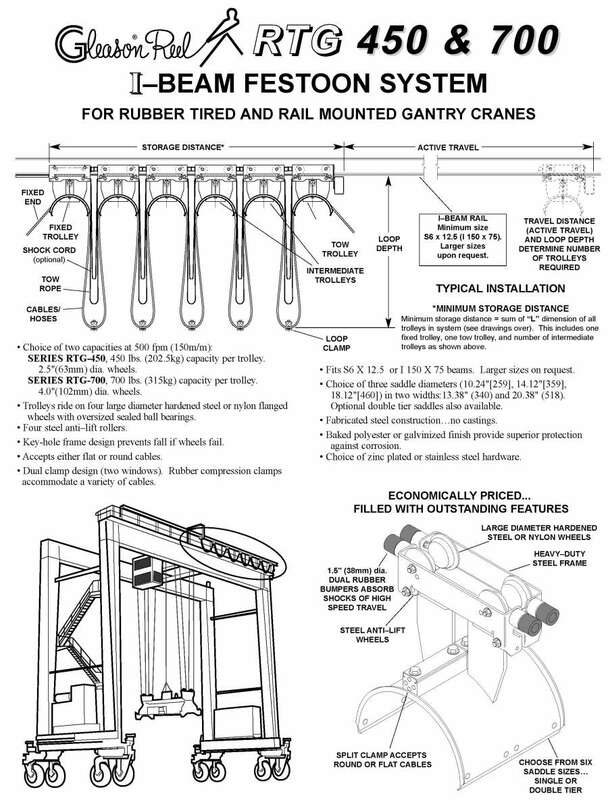 Choice of two capacities at 500 fpm (150m/m): SERIES RTG-450, 450 lbs. (202.5kg) capacity per trolley. 2.5" (63mm) dia. wheels. SERIES RTG-700, 700 lbs. 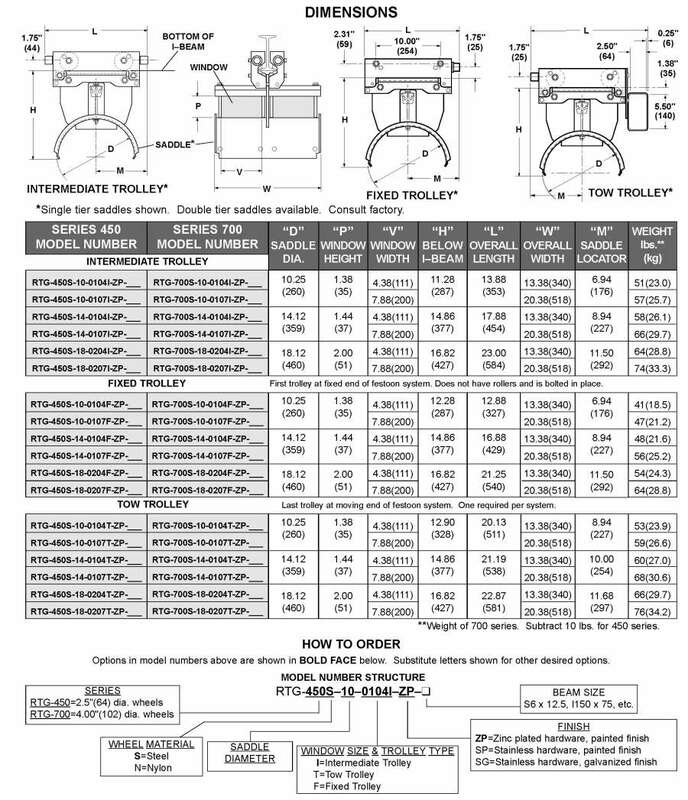 (315kg) capacity per trolley. 4.0"(102mm) dia. wheels. Economically priced, filled with outstanding features.